We often confuse passion with purpose. It is possible to identify your purpose but lack in the passionate energy required to pursue it. This is often a result of fear, doubt or even a lack of motivation. Passion is driven by motivation; motivation is a fuel that propels your passion. Without it, you might work out your purpose but struggle with propelling yourself forward. It’s like finding your dream car. You can configure it online to your desired specifications, you can overdose on the thought of you driving it, you can go to the dealership and admire it, you can even go to the bank and make the necessary payments. But if on the day you go to pick it up, there’s no fuel in it, then you are not going anywhere. This is the same with purpose and passion. 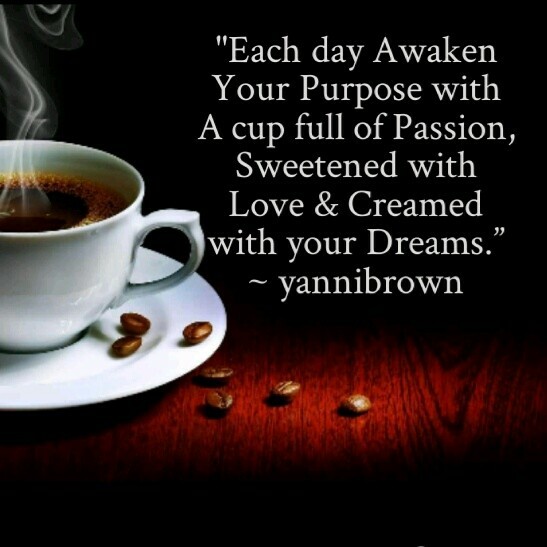 To pursue your purpose and accomplish it, you must awaken your passion. Motivation can be very evasive; I sometimes feel like I need to trap it in a mental net, take it into a bunker in my mind and lock it up with an access-code and fingerprint controlled door, followed by three giant locks. So how do you awaken motivation? How do you catch it and keep it? Simple! By inspiring yourself through others. You need to search out those who are in the same sphere of purpose as you and learn how they moved through their obstacles. You need to read about them, speak with them, attend their events, and from everything you gather, pick out what is most likely to work for you. By learning about them, you might come up with something completely new, or you might modify their techniques to suit your needs, but the important thing is you’ll be taking steps forward. By feeding yourself with the journeys of others, you will begin to awaken your motivation from within, and that is where you start to birth passion. That is when you start to experience a positive energy that propels you toward your purpose.